Fr. 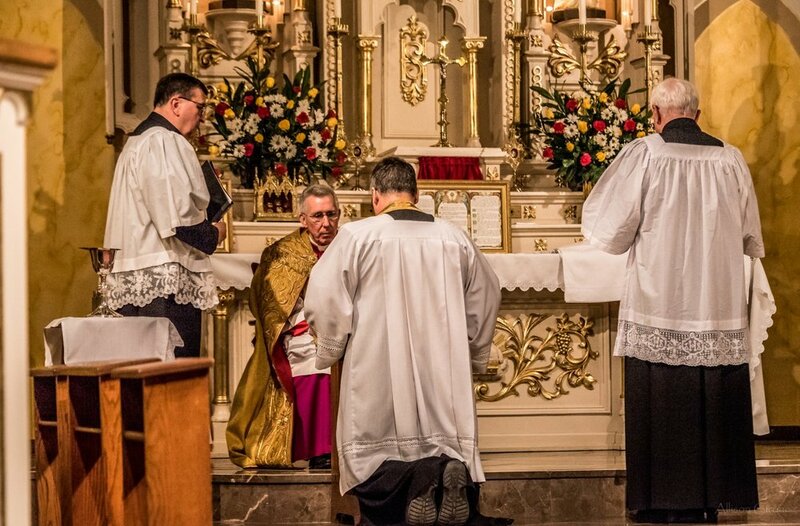 Carl Gismondi, FSSP, celebrates the first Mass in the Extraordinary Form of the newly reopened St. Mary Church in Conshohocken, Pennsylvania. Fr. Gismondi is installed as Pastor of St. Mary’s on Friday, November 30th, 2018, officiated by Msgr. Michael McCulken, Regional Vicar, and Fr. Martin Cioppi, Dean, followed by a Solemn High Mass. A special pre-dawn candle-lit Rorate Mass was celebrated to mark the Feast of the Immaculate Conception, honoring Our Blessed Lady. St. Mary Church celebrates the Nativity of Our Lord.